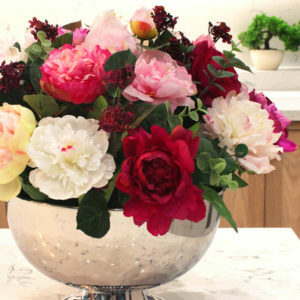 Brighten up your Interiors all year round with an array of colour! 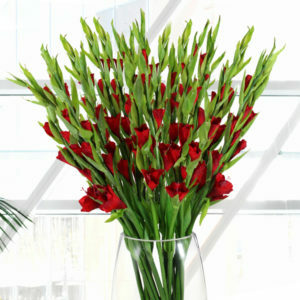 Display this Mixed Peony and Anthurium silk flower arrangement in your business reception area. 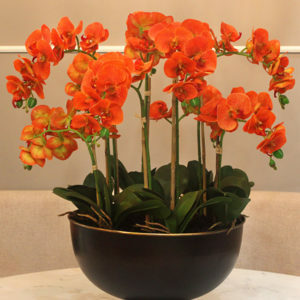 This striking, vibrant silk flower arrangement would certainly captivate everyone who passes by. 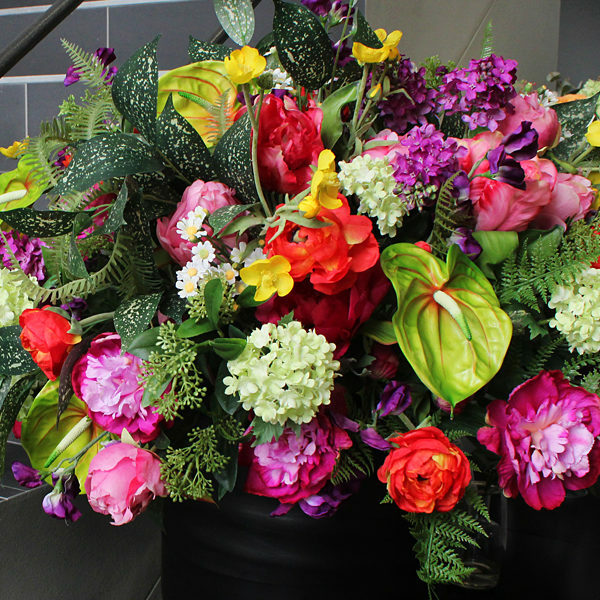 A fresh and tastefully decorated office is critical in attracting and maintaining high-level clientele and this arrangement and other similar life-like designs can do just that! 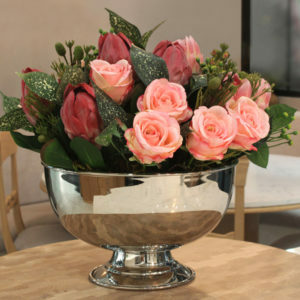 This SilkSense floral arrangement is made from high-quality artificial flower stems, permanently set in a black ceramic pot.